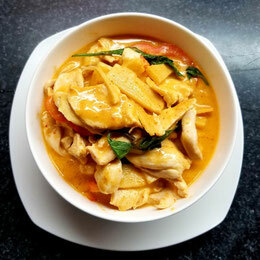 Coconut milk and Thai red curry with chicken, bamboo shoots, peppers. 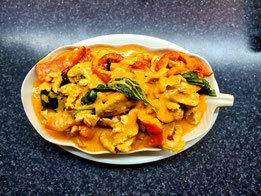 Flavoured with Thai basil. 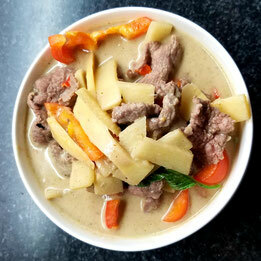 Coconut milk and Thai green curry with beef, bamboo shoots and peppers. 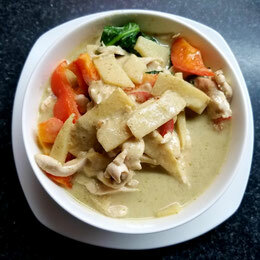 Coconut milk and Thai green curry with chicken, bamboo shoots and peppers. 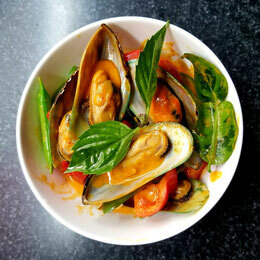 Coconut milk and Thai red curry with Mussels, snap peas, bamboo shoots and peppers.